A large number of Middleborough residents continued to engage in agriculture well into the twentieth century, including Andrew B. Gibbs (1854-1937) pictured here. 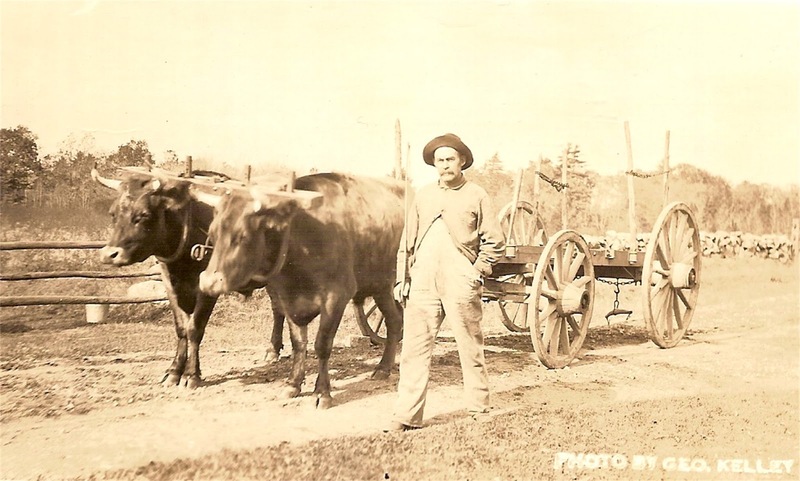 Gibbs operated a farm and dairy on Tispaquin Street for many years in the late 1800s and early 1900s and it is from him that Garabed Kayajan purchased his milk business in 1920. 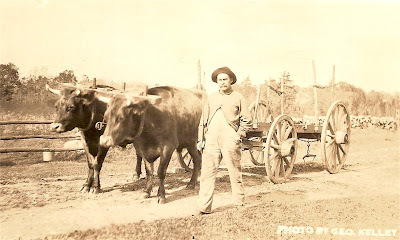 The oxen beside Gibbs were a welcome addition to any farm as they were capable of plowing, threshing grain and drawing heavy loads.